Many travelers believe their hotel rooms to be one of the safest places they can find while abroad. The hotel room becomes an immediate home away from home, giving travelers license to drop their guard as if they were in their own bedrooms. However, what they don't realize is danger always lurks right around the corner—even in hotel rooms around the world. A survey commissioned by The EasyLock, a British temporary door lock manufacturer, discovered over half of those surveyed knew someone who had an item stolen from their hotel room. Without realizing it until it's too late, travelers can lose jewelry, electronics, or even travel documents without immediately realizing it. However, as in many situations, travelers can prevent becoming a victim before they are even targeted by thieves. By breaking these five dangerous hotel habits, international adventurers can make sure they come home with all the items they came with. Many hotel guest believe that their rooms are magically locked and sealed when the "Do Not Disturb" tag goes around the doorknob. However, even at the best hotels, the sign may not be a deterrent for a determined hotel staffer. 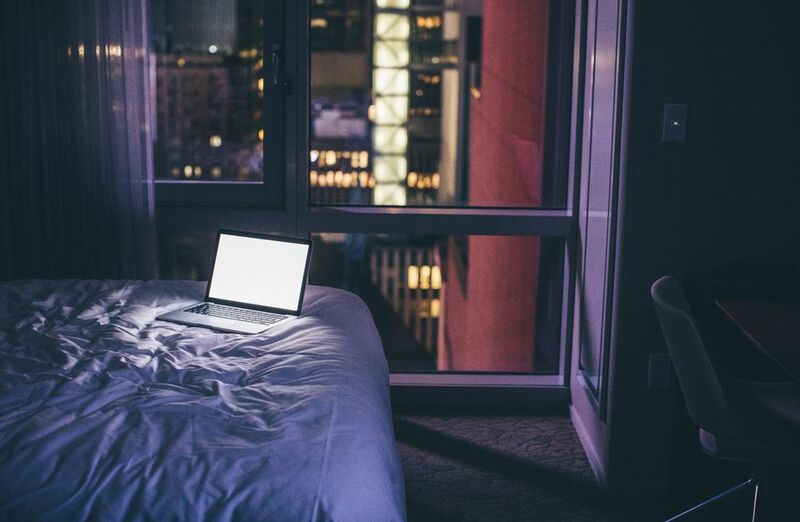 One of the most dangerous hotel habits is leaving valuables, such as travel documents and electronics, in plain sight after leaving the hotel room. When travelers leave their valuable items out for anyone to see, they are at risk of walking away when cleaning staff comes to take care of the room. As one frequent traveler discovered, the maid isn't always just looking to clean up a room—they may be looking to clean out the traveler as well. Anytime travelers leave their hotel room, be sure to pull any valuable items out of plain sight. Simply put: leaving valuables out can be an invitation for them to walk away, sometimes never to be seen again. Nearly every hotel room has an in-room safe provided as a courtesy. The code on the in-room safe is reset with every guest, meaning no two codes are the same. When traveling, the safe can be utilized for everything from electronics and valuables to a document contingency kit in case of emergency. Another dangerous hotel habit many travelers do not adhere to is keeping their valuable items in the hotel safe. In the survey, 44 percent of travelers said they did not use the safe to keep their items secured when out of the room. While no hotel safe is entirely impenetrable, the in-room safe is an easy first line of defense from hotel room theft and keeping your items safe. Many travelers consider the two room entry locks—the card entry and the bolt lock—to be secure enough to protect them while in the room. However, both measures may be defeated by a hotel staff member with a bolt key and master key card, potentially leaving your valuables at risk. Not using the swing-bar lock is not only a dangerous hotel habit but can also make the room accessible anytime a traveler is in their hotel room. When it's time to retire for the night, always use it. The swing-bar lock is a physical bar that prevents unauthorized entry into the room when the guest is in it. As travelers see the world with more and more gadgets, the overall value of their luggage increases. Of those surveyed, the average value of their luggage and contents came to over $4,800. This creates a virtual gold mine for a would-be thief. Although overpacking can be a dangerous habit for another reason, leaving all of those valuable items in a room is a very dangerous hotel habit. Valuable jewelry and heirlooms should always stay at home or on your person, while everything else should be locked in the hotel room safe while away. What many travelers don't know is that travel insurance can cover more than just trip cancellation and trip delay. A good travel insurance plan can help travelers in the worst of situations, including lost or stolen luggage. While it could be argued that not purchasing travel insurance (or having travel insurance through a credit card) makes for dangerous traveling, leaving items in a room without insurance is, in of itself, a dangerous travel habit. No matter where an item is stolen, certain travel insurance plans may cover lost or stolen goods. Before leaving for a destination, consider purchasing a travel insurance policy to cover both the physical luggage and its contents, just in case anything is lost during a trip. Though no traveler is perfect, knowing which dangerous hotel habits to avoid could keep modern adventures safe on the road. By breaking these five bad hotel habits, travelers can make sure their possessions stay secure, even when away.